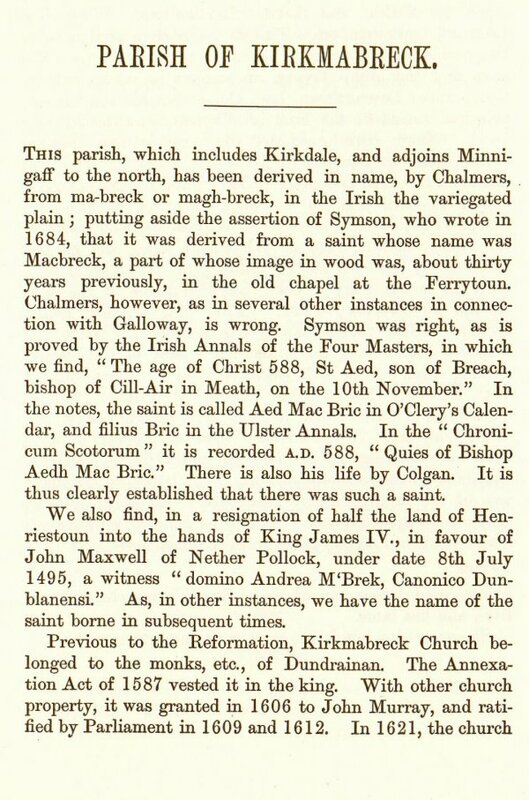 Parish of Kirkmabreck - History of the Lands and Their Owners in Galloway. Some sources for people researching their family tree in the Stewartry of Kirkcudbright. This page contains the Kirkmabreck (Creetown) chapter of the book History of the Lands and Their Owners by PH McKerlie.